It comes a few years after Rainbow Run (I can’t believe how fast time flies), and hopefully shows a slight change of direction when compared to many of the songs on my previous album. The majority of songs on the 5-track EP will be new to most, and merges my two favourite styles of music – acoustic and synth/electro. As is now my ‘norm’, there is no single style of music on the EP. 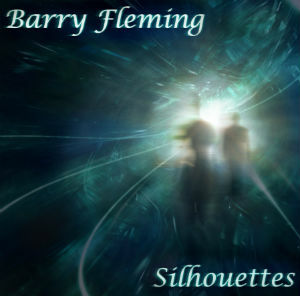 Anyone who knows my music will also know that I don’t pigeon-hole what I write into a particular genre – with my songwriting style, this would be almost impossible as I very much like to produce what I feel – Silhouettes is a prime example of this. As with my previous work, Silhouettes was recorded and produced by myself – I find after all this time that I’m starting to enjoy the process of not only writing the songs, but also getting them out there with all the bells and whistles attached. The idea for another EP came about shortly after starting to build up my studio (TightRope). The main challenge I found was actually finishing the songs in the studio as I was constantly researching and learning new things and wanting to experiment. I’m a typical Libra and found it difficult to be given so many choices that came with computer-based recording software and how I wanted the ‘new stuff’ to sound. One song in particular, named ‘Better’, which never actually made the EP was worked on for almost ten months! I ended up using it as a canvas to learn the ropes involved with getting accustomed to the workings of a new recording experience. Better has now been put on hold until a later date when she will most definitely be making an appearance – watch this space! There’s a theme which runs through all of the tracks on Silhouettes, although this isn’t obvious on a first listen – perhaps not even on a second, third or fourth. It was this theme which instilled the idea for the title – things may seem a case of black & white on the surface, but they rarely are. There’s always something there which can’t be seen without looking closer – a bit like missing the forest for the trees if you like. It was a pleasure to be introduced to a new guitarist, Ryan Belshaw, during the production of Silhouettes. Ryan is a young musician and front man for local rock band Hindrance – a great outfit who also write and play their own material. Working with Ryan was always a pleasure – he knew how to get inside my head and exactly what it was I was trying to say within the music. A very talented man with what I’m sure will be a great future in the music business. I hope to be working with him on further projects in the future. Silhouettes can be heard on my ‘Listen’ page from Bandcamp.